Prominent & Leading Manufacturer from Mumbai, we offer socket weld flanges, socket weld flange, weld neck flange, weld neck ring joint flange, spectacle blind flanges and slip on flanges. 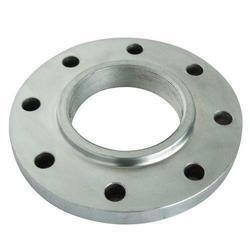 Weld neck Ring Joint Flanges are designed for use in changing diameters in a piping system. A Weld neck Ring Joint Flange comprises a flange with one specified diameter having a bore of a different and smaller, diameter. Except for the bore and hub dimensions, the reducing flange will have dimensions of the larger pipe size. These flanges are used at the outlet side of the expansion joint to increase the size of the flange. This is considered to be an economical method to make a transition in size. We offer an extensive range of Slip on Flanges, which is a very popular type of pipe flanges. These flanges slide over the end of piping and then welded in place, ie Welding Slip On Flanges. Slips on Flanges are perfect for lower pressure applications and can be easily fitted & welded into different pipes. The welding helps to reduce the fabrication costs of these pipes. The flat face flange has a gasket surface in the same plane as the bolting circle face. Applications using flat face flanges are frequently those in which the mating flange or flanged fitting is made from a casting. 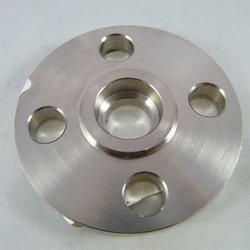 Flat face flanges are never to be bolted to a raised face flange. 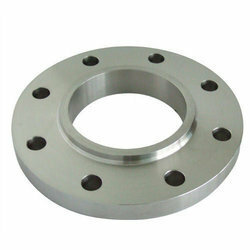 ASME B31.1 says that when connecting flat face cast iron flanges to carbon steel flanges, the raised face on the carbon steel flange must be removed, and that a full face gasket is required. This is to keep the thin, bittle cast iron flange from being sprung into the gap caused by the raised face of the carbon steel flange. 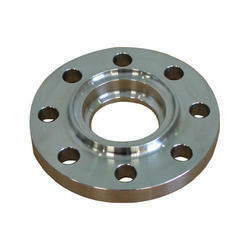 We manufacture and export industrial alloy steel screwed flanges that have gained appreciation in the global market. Manufactured as per the international standards, our range of alloy steel industrial flanges is acknowledged for excellent finish, ability to withstand high temperature and corrosion resistance. 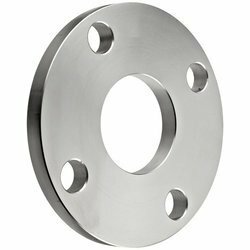 We are one of the leading manufacturer of alloy steel screwed flanges in India, we also customize these industrial flanges as per the requirements of the clients. 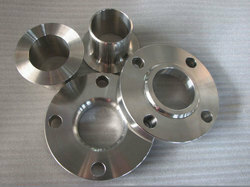 We can supply alloy steel screwed flanges the method includes forging.